A New York Times Notable Book: A woman learns the truth about her husband’s deceptions in this “superb” novel by the bestselling author of Gone to Soldiers (Boston Herald). After a cross-country tour promoting her latest cookbook, Daria Walker is ready to return to her beautiful home in an affluent Boston suburb and her beloved husband, Ross, a prominent attorney whose rough-hewn good looks have never stopped charming her. But when she arrives, he blindsides her by announcing he wants a divorce. Surprised and devastated, Daria suspects he may be having an affair, but the reality is far worse and will tear apart the illusion of her perfectly happy family. When a boy dies tragically and a scandal erupts involving a mercenary slumlord, Daria is outraged along with the rest of the city. But when she learns that Ross may have a connection to the case, she sets out on a journey to discover the truth—a quest that will cast a shadow over the comfortable life she once enjoyed. 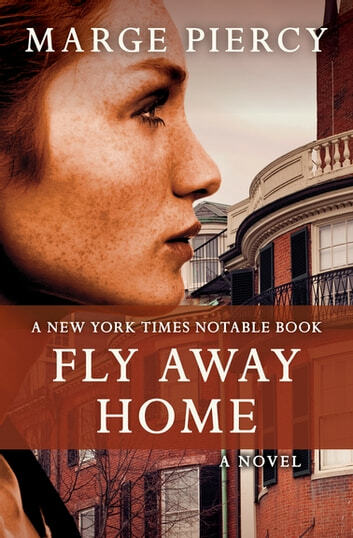 From the New York Times–bestselling author of Woman on the Edge of Time, Fly Away Home is the story of a woman forced to question her values, her relationships, and herself—“a tale of love, betrayal, and revenge set against a backdrop of sterile suburbs, confrontational politics [and] the evils of gentrification” (The New York Times).